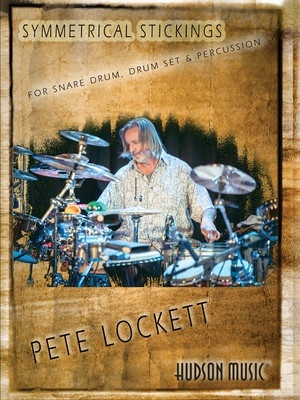 Pete Lockett takes a deep dive into paradiddle grooves in this book for snare drum, drumset and percussion. Starting with the very basic paradiddle form, he progresses with exercises and ideas in 4/4, 6/8, 5/4, and finally 7/4. In all, there are 68 pages full of new exercises, patterns and concepts! Whether you're developing a funk groove, playing a four bar jazz break or hitting a “Keith Moon” rock solo, the paradiddle rudiments are indispensable. Drummers as varied as Steve Gadd, Elvin Jones and Keith Moon have all made great use of them.